Elaine’s yoga therapy and coaching practice, Live and Breathe Yoga, is based in Clerkenwell, London and she is manager and practitioner at The Minded Clinic in Camden, providing one-to-one Minded yoga therapy, accessible classes and courses for specific conditions. Her experience and research interests include working with sleep disorders, migraine, chronic pain, depression, anxiety, stress, trauma, BPD, menopause and supporting through major life changes. She has delivered Yoga4Health courses for NHS and worked with members of the Grenfell community in West London. Working with the breath, gentle movement and mindful awareness is at the heart of her practice, which draws on evidence-based research from yoga, mindfulness, neuroscience and psychotherapy. 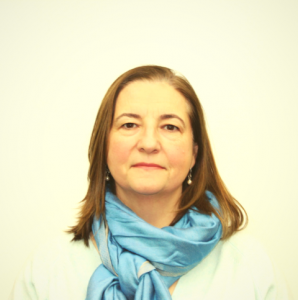 Elaine is our managing supervisor on the Minded Yoga Therapy Training Programme, and regularly visits Jersey to deliver yoga therapy workshops and private sessions, where she is able to conduct follow-up sessions by Skype.